Labor for Palestine was launched in April 2004 by New York City Labor Against the War and Al-Awda NY: The Palestine Right to Return Coalition to reclaim the legacy of working class solidarity with Palestine in the United States, as reflected in groundbreaking statements by the League of Revolutionary Black Workers in 1969, and wildcat strikes against the United Auto Workers (UAW) leadership’s support for Israel in 1973. LFP endorses the 2005 Palestinian-led Boycott, Divestment and Sanctions (BDS) picket line, which demands an end to occupation and apartheid, full equality for all, and Palestinian refugees’ right to return to the homes and lands from which they were expelled. This includes support for calls from Palestinian trade unions, the Congress of South African Trade Unions (COSATU), and other trade unionists around the world to refuse to handle Israeli cargo, and calling on labor bodies to divest from Israel Bonds and cut ties with the Histadrut, Israel’s racist labor federation. Issued numerous statements, endorsed by thousands of people. Published a series of briefing papers and other materials, including “Labor for Palestine: Challenging US Labor Zionism” (American Quarterly, December 2015). Fought for full inclusion of Palestinian liberation within the post-9/11 antiwar movement. Picketed events at which trade union officials support apartheid Israel. Protested the wars on Gaza and other Israeli crimes. Organized solidarity with ILWU dockers and other racial justice activists who refused to handle Israeli Zim Line cargo ships in 2010 and 2014. Encouraged, publicized and defended a growing number of BDS resolutions, including those in the United Auto Workers, United Electrical Workers, Connecticut AFL-CIO, and American Federation of Teachers. Maintained a growing online presence through LaborForPalestine.net, Facebook, Twitter, and email bulletins. Spoken at a wide variety of events. Served on the Organizing Collective of the U.S. Campaign for the Academic and Cultural Boycott of Israel. To get more information, invite a speaker, or start a chapter, please contact us here. 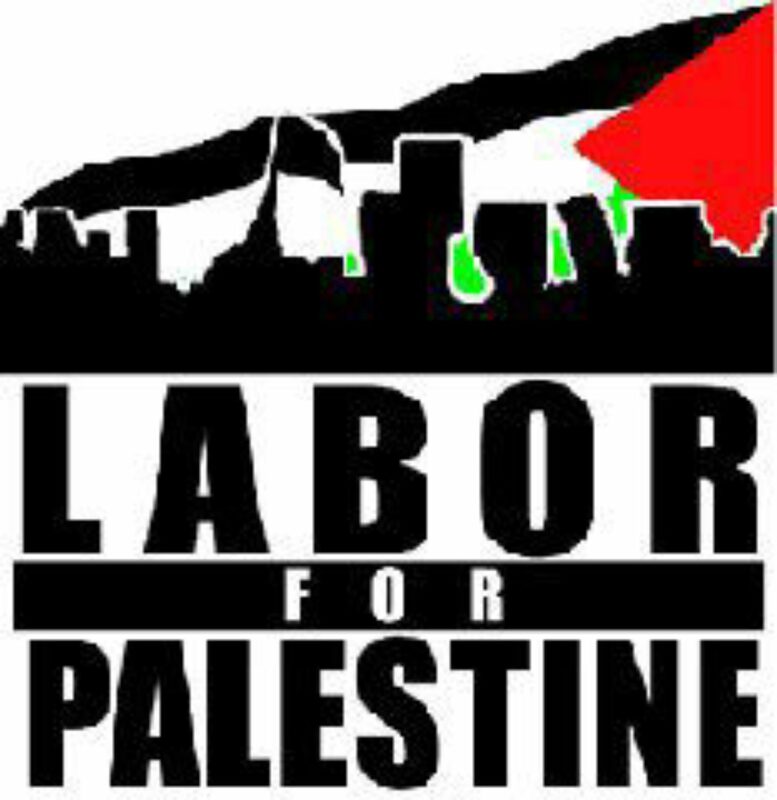 Donate to Labor for Palestine here.